As we get closer to the scariest holiday of the year, more an more people are getting into the Halloween spirit by watching shows that scare us to death. There was a pretty big variety on the shows watched from “Stranger Things” to “Black Mirror,” according to the list compiled by Reviews.org. Wisconsin’s favorite scary show, for example, is listed as “Darknet”, the anthology series that surrounds a website called “Darknet”. The show ran from 2013-2014 before its ending. 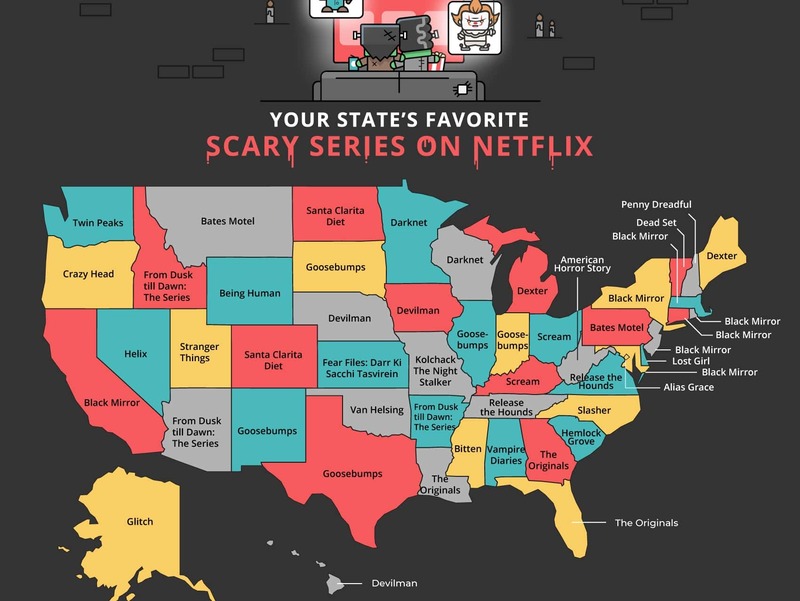 “Darknet” was only listed as the favorite show in Wisconsin and Minnesota. Currently, Netflix has a huge talker: “The Haunting of Hill House.” The show’s first season is available to watch now. The house that’s featured in the show and the novel is located in Massachusetts — where folks like the “Black Mirror” series best, according to Reviews.org’s list.